In a cruel twist of food blogger fate, I'm sharing this wonderful maple blueberry baked French toast while we're currently dealing with an oven (and microwave) that are sadly out of commission. It probably goes without saying, but as an avid baker/recipe developer/human, who loves Christmas cookies beyond measure, this has been... the worst. 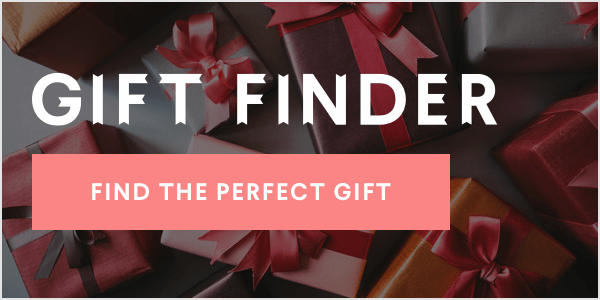 BUT, if you do happen to have a working oven, this baked French toast is a lovely treat to bake up for breakfast or brunch during the holidays, as it's not only incredibly decadent and delicious, but is also – especially if serving a crowd – much easier than cooking each piece of brioche to order. While it's baking, I like to make a quick blueberry maple syrup. I'm channeling my inner Summer here with the maple blueberry topping – using up some of last season's berries, which I hoarded by the basketful (nothing new) and then froze, in big ziplocks, divided nicely by variety: blue. black. strawb and rasp. The freezer was PACKED, and I've alllllmost used them up. I love having them on hand for smoothies, and to brighten up the drudgery of winter. The high was 36 degrees today, y'all. Blueberries in particular freeze and defrost fairly nicely, their compact little bodies holding up well to a deep freeze, at least as far as sauces/compotes and baked fruit crumbles/pies go. -In a large bowl, whisk the eggs together, then whisk in the milk until well-combined. Stir in the maple syrup, vanilla, and spices. -Dip the sliced brioche in the custard mixture, letting the bread generously soak up the custard. Gently shake off the excess, and transfer to a lightly greased or parchment paper lined rimmed baking sheet. -Bake for 20 minutes, then flip and continue baking for another 10-15 minutes, until the bread is golden brown and cooked through. 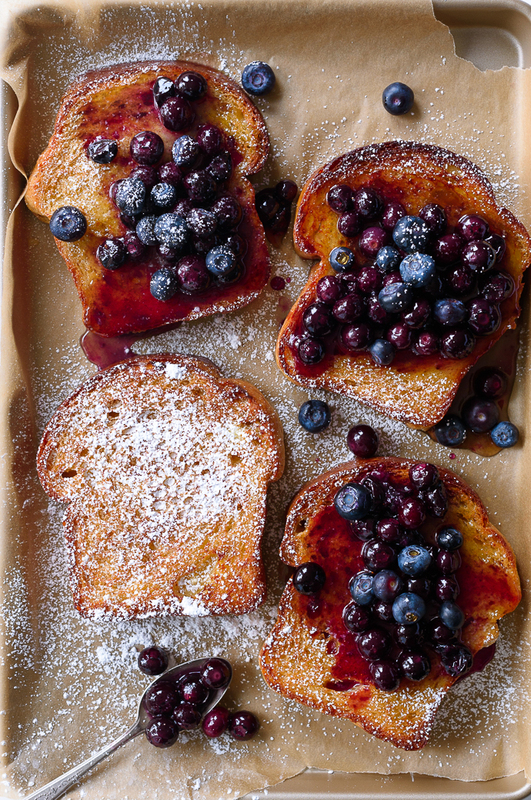 -While the French toast is baking, add the blueberries and maple syrup to a medium sauce pot over medium heat. -Cook, stirring often, until the berries begin to slightly break down and release their juices, about 8-10 minutes. Remove from the heat and serve over the French toast. -Brioche ... challah is another great choice. -Fresh or frozen blueberries will work here. Make it dairy free: Use almond milk or coconut milk, then brush the tops with melted coconut oil instead of butter. 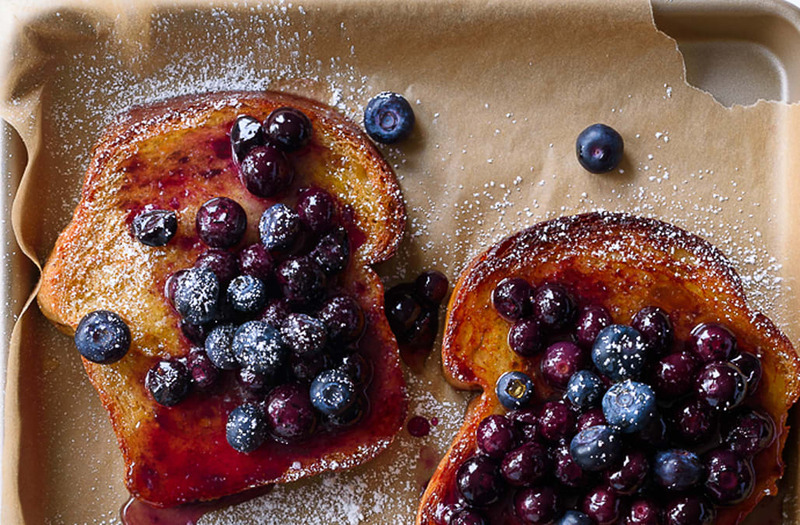 The post Baked French Toast with Blueberries appeared first on Fork Knife Swoon.